Ever since I got Scout, I've wanted to take a low key, black on black, photograph of him. Mostly because of the challenge of both exposure and keeping the subject from blending into the background, but also because of how awesome it looks! However, let me tell ya, it was tough! 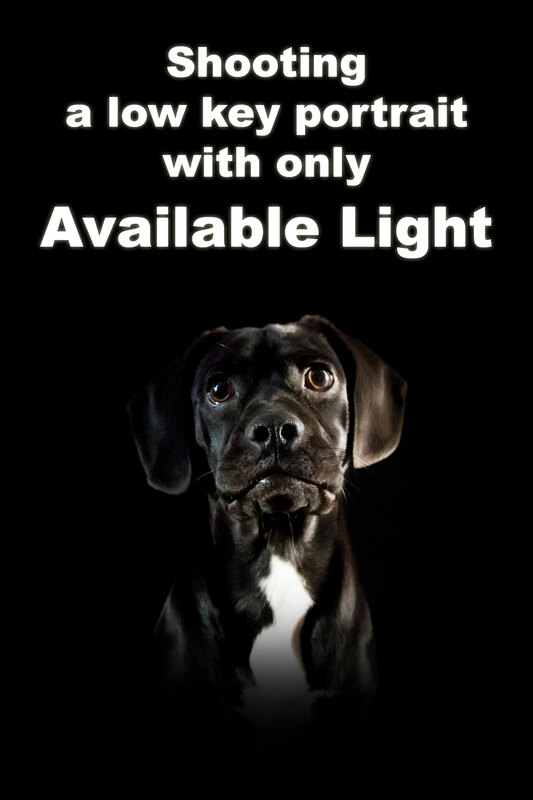 Managing exposure to get background "pure black" while keeping a puggle puppy still (for two freakin seconds!) while you focus is not easy. Now take a look at my setup. I used a black cloth as my background, covered the two large widows with a thick, dark brown blanket to make the room dark, and propped the bedroom door open just slightly to allow a little light to come through on the right. Then, I placed a reflector on the left of Scout to bounce some light back towards the door and create this thin stream of light in front of him. The grey dresser on the right blocked the light from spilling too far behind Scout and into the background. I have to admit, I'd really like to create another version of this with a lower ISO. Perhaps I'll work on increasing the intensity of the light path hitting my subject while, at the same time, making the room darker, or simply increasing the distance of the background to the subject. Now I challenge you to take on this assignment! Go out and find a dark subject to photograph in front of an equally dark background. Try to use only available light, and leave me a comment below with your thoughts on tips, improvements, and challenges you faced.